Strangers in Their Own Land (2016) discusses the issues that divide American politics, with specific focus on the Tea Party of Louisiana. 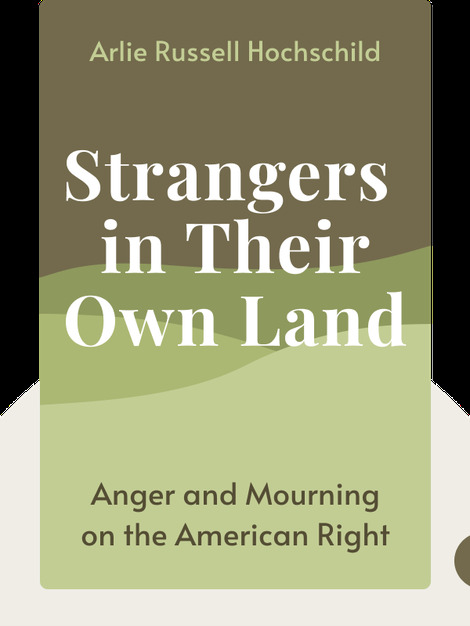 In the course of explaining how Louisiana ended up where it is today, the author encourages readers to empathize with disparate political stances. 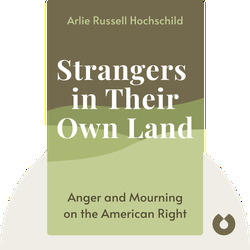 Arlie Russell Hochschild is professor emerita in Sociology at the University of Berkeley, California. In 2015, she won the American Sociological Association’s Lifetime Achievement Award. She is also the author of The Outsourced Self: Intimate Life in Market Times.